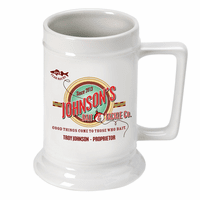 FEATURES/SPECS This billiards theme white ceramic beer mug will be the perfect accessory to your game room. 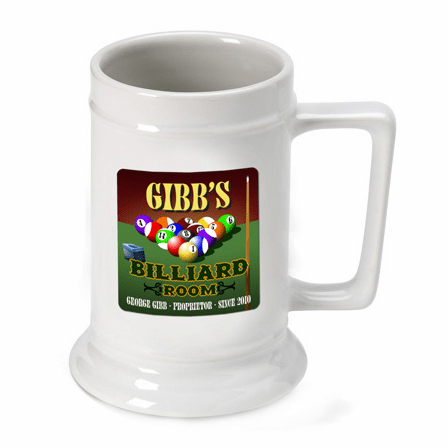 It features a racked set of balls as well as a billiards cue on top of a green felt pool table. 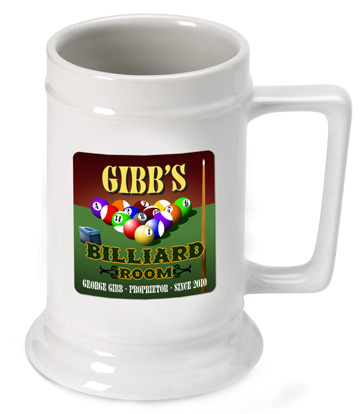 Add your full name to the bottom of the image, listing you as the proprietor of this billiards room. 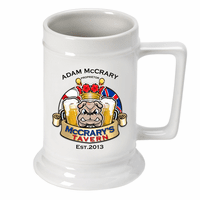 Top off the personalization with your last name at the top and a year of establishment. 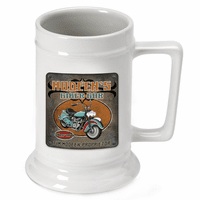 This heavy duty mug is perfect for groomsmen gifts or a housewarming gift. 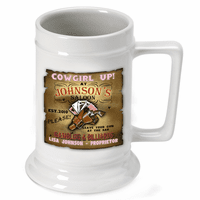 Comes personalized with the words "Quit Talking and Start Chalking"